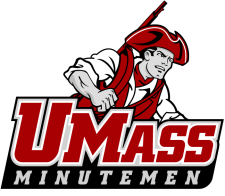 The University of Massachusetts Minutemen will happily make a return trip to the Big House in 2012 to collect a handsome check for $650,000. This completes the non-conference slate, and the schedule overall for 2012. Here's a look. "Legends" division games in bold. I like the non-conference slate. I really do. In this age of Baby Seal U, this schedule is not easy. Even though I would prefer a home-and-home with Alabama rather than a single neutral site game, I can't complain. Add Air Force (always good to play a service academy) and of course the annual match with Notre Dame -- this could be a very difficult schedule. And let's not forget, UMass will be in the MAC next year...no longer an FCS school. I don't like that all 5 division games are back-to-back. But what can you do? Our non-protected cross-divisional games are Purdue and Illinois instead of Penn State and Wisconsin, just like this year. So that's a plus. All in all, this is a tough schedule...but it's fair. And I like it.